Meet the new advancement in the eco toothbrush world. Simple design with amazing achievement in bristle technology. 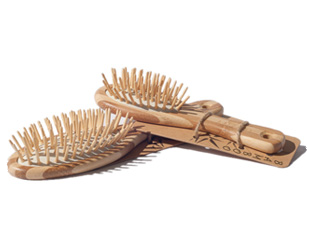 Bamboo handle with charcoal infused bristles in both medium and soft. The Eco biodegradable toothbrush is the solution to the 30 million toothbrushes disposed of each year in Australia. These toothbrushes either end up in land fill for who knows how long or floating around in the ocean and washing up on our beaches or river banks. 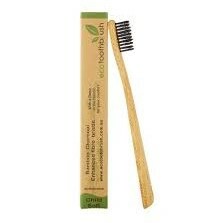 This toothbrush is bamboo, even the packaging is biodegradable. 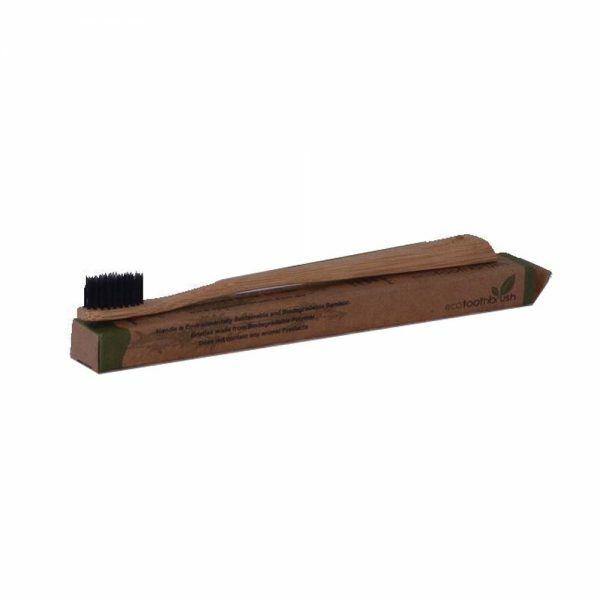 The activated charcoal in the bristles can also help to deodorise the mouth by reducing the bacteria that can cause bad breath and help to absorb chemicals such as chlorine from the tap water. 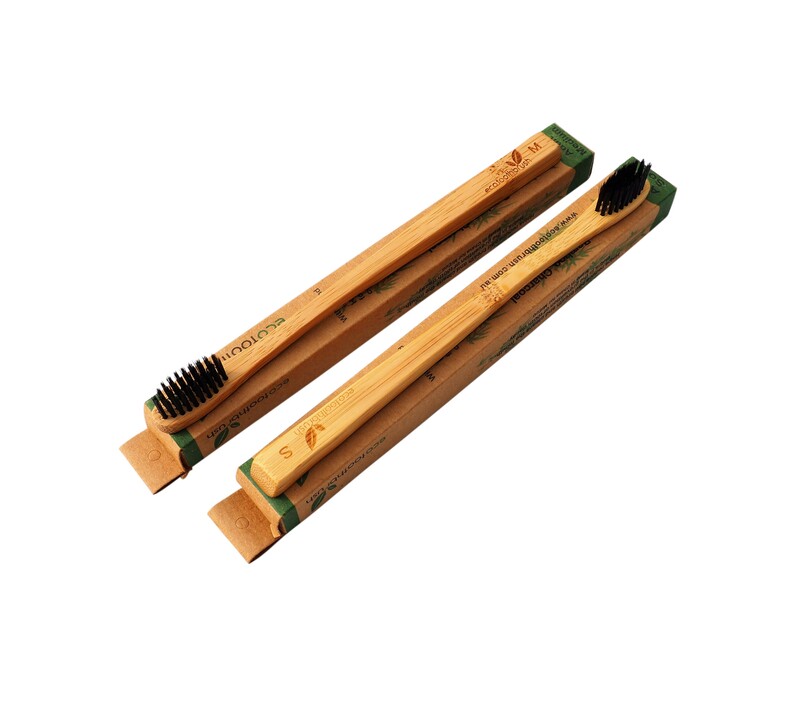 Invented by an Australian dentist, these toothbrushes are made from bamboo, a natural cellulose fibre. The handles are biodegradable, environmentally sustainable, and they do not pollute the environment. The amazing growth and self-renewing ability of bamboo means that deforestation is not necessary either. Even the packaging is bio-degradable. 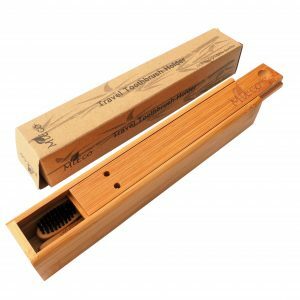 The bamboo handle will biodegrade into soil without pollution, we suggest that you remove the bristles and place them into the bin or recycling. 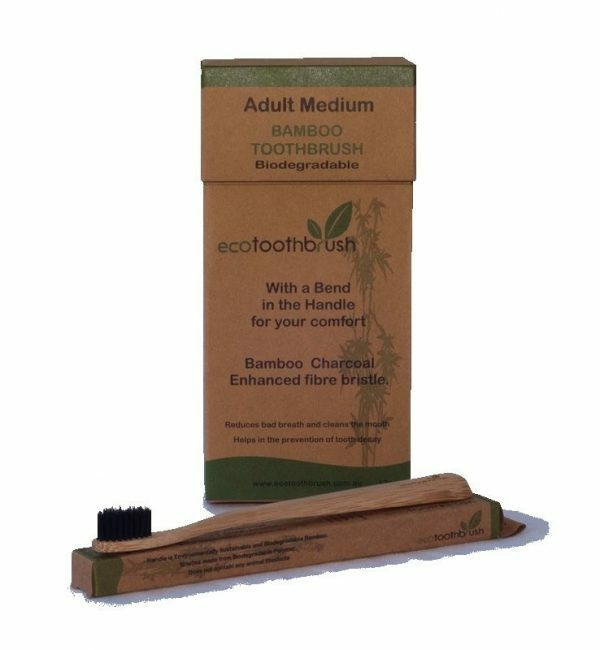 The Bristles The BPA-free bristles contain charcoal reactive ion which can easily adsorb the dental plaque on the surface of teeth to make teeth healthy and white. They are also more moisture proof and antibacterial than normal bristles which means the bristles are dry when the toothbrush is stored between uses, and that dryness deters bacteria from breeding on your toothbrush! That is an easy one to answer – Although most dentists will only recommend a SOFT bristle we have found that approx 45% of Australians use a Medium toothbrush… So the toothbrush is available in both Soft and Medium in the Adult size. Children can also use the soft size.